James Su and Julie Huang are the principal artists of Twin Peaks Studio, located in San Francisco, California. You can contact them at wjsart@live.com. Since childhood James Su has been passionate about art. Born in Shanghai, China, he entered the Shanghai Art Institute to study Chinese painting and illustrations, laying a solid foundation for representative paintings. He started his art career as a freelance illustrator for a publishing company. His illustrations have been published in many books and magazines. 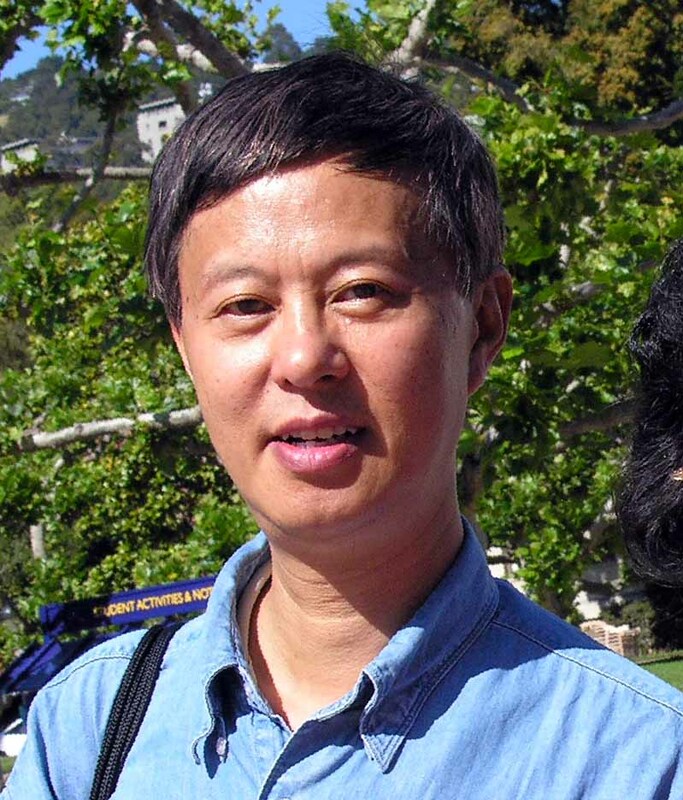 In 1985, he emigrated to the United States and obtained his PhD degree. Dr. Su resides in the San Francisco Bay Area and is a full-time artist. He has published several art books and his work has been shown in many galleries and museums. In 2010 he had 26 paintings presented at Stanford University’s Art Space Exhibition. In 2011, Dr. Su had a solo exhibition at the University of Wisconsin that resulted in several art acquisitions and collections by the university. He has had two solo exhibitions at the Silicon Valley Art Center. He has also had many exhibitions in China. Dr. Su is art professor at three universities. Julie Huang graduated from Tongji University, Shanghai after China’s Cultural Revolution. After earning her degree she worked as a teaching assistant in the university’s Architecture Department. She went on to earn a master’s degree in 1986, before earning another master’s degree from Washington State University in 1989. In the 1990s, she worked as a designer and marketing manager before founding her own engineering company. Huang has managed designs for a large number of buildings, bridges, and public facilities. Currently, she is a professional painter and art professor of JDZ Institute. In addition to her studio practice, she arranges art exhibitions and publications. Her abstract and porcelain paintings feature poetic interactions of color and texture with an underlying energy that gives the viewer a sense of motion. She approaches her artistic practice with careful study to create beautiful and unique textures and color interactions. There is a delicate balance of deliberation and spontaneity, intentionality, and serendipity. Her background in design and structure helps her build conceptual and rational frameworks within which she can explore and reveal endless creativity.